Gunnera manicata, the giant rhubarb, has very few rivals for the sheer size of its leaves, but among them would be Tetrapanax papyrifer. Used in Asian countries for making paper, it’s more commonly employed in the UK as a dramatic focal point for tropical plantings. 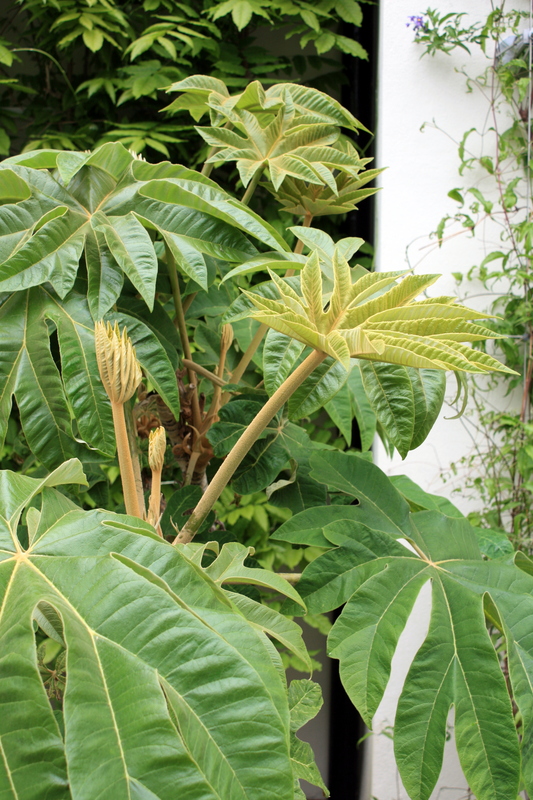 Tetrapanax papyrifer dislikes growing in a pot and prefers a spot with lots of space in moist but well-drained soil. ‘Rex’ is one of about four varieties available, and like all of them can be touchy about frost, so is best protected through the worst of the winter weather. Hi Ronald. I can’t help on this one I am afraid, but good luck with your quest to find this fabulous plant.